The guitar-aficionado, described as "John Mayer dipped in a country river" recently released his newest batch of recordings featuring "Different Way" , "Just Say When" and "Through the Cracks" with his self-titled bluesy country LP. Brandon in the recent few years has been picked by MUSIC CONNECTION MAGAZINE as no. 5 on the Top 25 new artists of 2013, and the Country Music Association's CMA Closeup magazine chose him as a "Who New To Watch in 2014." Brandon also secured a coveted spot to play The Grand Plaza main stage show at the 2014 National Association of Music Merchants (NAMM). The premier of his music video and Top 100 single "Different Way" was featured on the front page of COUNTRY WEEKLY's online publication during its first week. 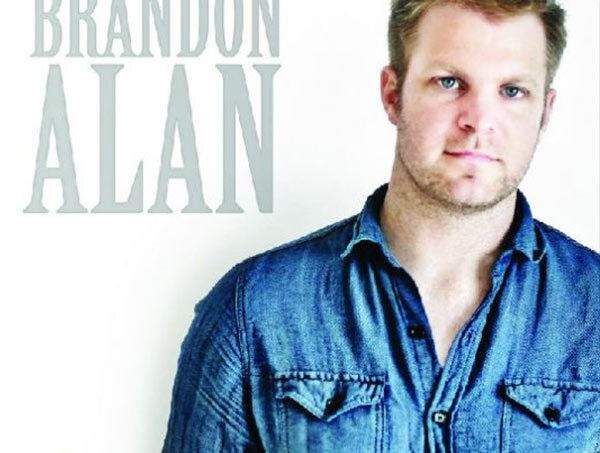 Following the success of "Different Way " Brandon then teamed up with fellow Texan Honky Tonker, Bart Crow and released the upbeat 2nd radio single "Through the Cracks." Just recently on April 15th, 2017, Brandon's band co-headlined the Balloons Over Horseshoe Bay with Bob Schneider for a record turnout of over 6,000 people. The Texas singer/songwriter's new self-titled LP was recorded in Austin, TX and will give fans a sonic reward with the musical heavy weights Brandon has recruited to play/produce/mix and master. The LP was produced by former Seal drummer, Ramy Antoun. Also enlisted were Brett Simons (Dwight Yoakum) on bass, Clayton Corn (Pat Green) on keys, and Jacob Hiltebrand (Miranda Lambert) on the utility guitars. The album was mixed and mastered by industry giants Reid Shippen and Andrew Mendelson in Nashville, TN. The bluesy country singer's musical influences reflect his style, sound and moreso his passion for masterful guitar playing including Vince Gill, Brad Paisley, Eric Clapton, Mark Knopfler/Dire Straits, Joe Walsh, Stephen Stills/Crosby Stills & Nash, Jimi Hendrix and John Fogerty to name a few. Brandon was introduced to the guitar by his father, once an aspiring guitarist himself. His Dad taught him on an iconic 74 Les Paul which makes the history even more extraordinary. His father's eclectic music collection introduced the young musician to many legends, but he says the reason he began playing more seriously was the solo he saw Joe Walsh do on VH1, in a clip from when he was with The Eagles. Brandon spent many years grinding his way through "musical graduate school" in the Live Music Capitol of the World - Austin, TX where he honed his craft of songwriting, guitar musicianship and developed his style as a performer playing out four nights a week. He refined the unique sound that has become his trademark - a layered blend of country, rock and contemporary blues. He has since toured all over the United States building a solid and loyal fan base from Nashville to Chicago to Los Angeles. He has opened for a variety of music greats like Vince Gill, the Time Jumpers and Ed Roland of Collective Soul, John Mayer and Ben Folds. On the Austin scene, Brandon opened for guitar greats Redd Voelkart (Merle Haggard/Asleep at the Wheel) as well as Austin's famed Malford Milligan, known for being the lead singer for Austin's famed rock/blues band Storyville. Brandon has played famed music venues across the country including The Roxy in LA, Joes Bar in Chicago, 3rd and Lindsley in Nashville, The Saxon Pub & Threadgills in Austin, and recently headlined a show at the Hard Rock in Hollywood. Brandon has also appeared on numerous morning talk shows such as Good Day Nashville,My Fox 9 Minneapolis , Good Day Austin, The Broadcast Dallas, Good Morning Sacramento, Talk of Alabama, and the largest AM radio station in the US with WHO's Iowa based "Van and Bonnie In the Morning."